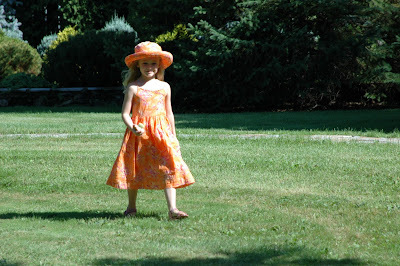 This is my eldest grandaughter all dressed up on a summer's day because I've brought a friend over to take pictures. "Ooops dropped my apple - should I eat it anyway?" 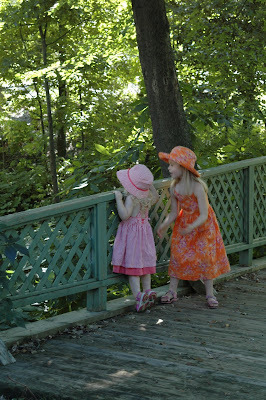 Sisters: the oldest always telling the younger what to do - "Come on, let's go to the swings!!! "; the younger always doing exactly what she wants for as long as she wants. Those tippy toes must be getting very sore. "How far down is it to the water?" "Don't really know - I'm just enjoying my slightly dirty apple." Eldest off for a stroll on a summer's day. "Ahhh, free at last. My sister is nice, but sometimes a girl just needs some alone time." "Oh, fiddlesticks. Can never get away from that little one - she follows me everywhere. I'll pretend I don't mind, but I'm speeding up and I'll lose her soon. 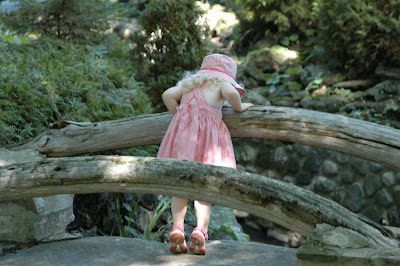 I'll hide if I have to . . . ."
"Can't find my big sister, I'll just wait on this little foot bridge and practice standing on point. Big sister . . . are you hiding under the bridge?" "Well, she's not down here on this side either. Hmmmm, too many places for her to hide. 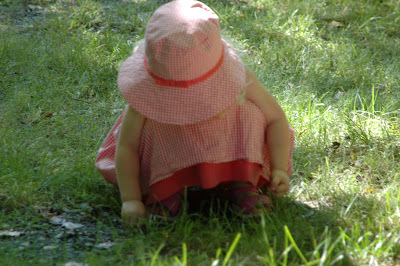 I don't like this game "hide and seek" - I'm always looking and never finding." "Hi there, little bug. Can't find my sister, will you be my friend? Oops didn't mean to pinch you. " All of the above pictures taken by Marilyn Gherashe, friend and photographer. 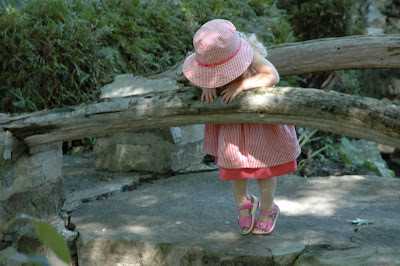 She came especially to take photographs of these two special little people in my life. Marilyn wanted to take candid shots and she succeeded. I also want to keep the children's identity private, so had to hunt for pics among them that do not reveal their features. There were many taken by Marilyn that capture beautifully those dear little faces, but they are not for the internet. Beautiful. Everything...the girls, the setting and the quality of the photos. Beautiful. Beautiful I love the no close face shots. A perfect day! Beautiful setting and lovely granddaughters. The photography is wonderful! Gorgeous! Love all the photos! 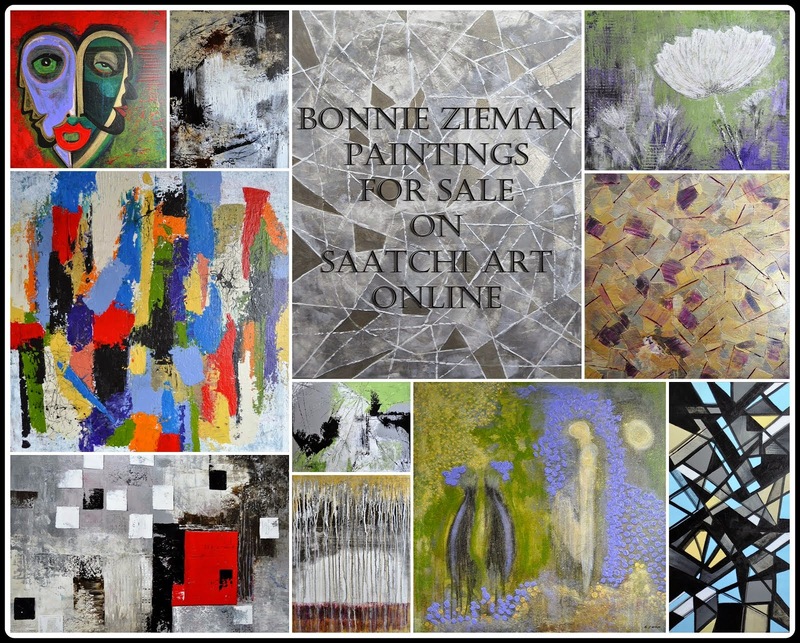 Lovely photos to treasure, Bonnie. My daughter so wanted a little girl but had three boys, so Nana doesn't get to sew pretty dresses. Our three boys are wonderful; 17, 15 and 8. I wanted to come and admire Jill's design work on your blog, but then also became captivated by your sweet grandaughters! What lovely photos! I'll be back to visit again :) Thanks for sharing! Thank you for dropping by and leaving such sweet comments. They are sweet children who are kind, sensitive, loving, funny, intelligent and creative, and surprise, surprise, I adore them. They were wearing cute dresses and hats that day, but that is not their normal gear. Next pics will be shorts and t-shirts. Even with faces obscured, I can still tell they are very beautiful. These photos bring to mind Henry James' words: "Summer afternoon, summer afternoon, the most beautiful words in the English language." PS - I had three kids always following after me - two little brothers and the littlest, my baby sister. Reminds me of some precious days, not so very long ago, when my own two daughters were that age. Now both are married with children of their own. Come to think of it, that was quite a few years ago. But the memories are still vivid. Julie: Thanks for dropping in. So you know the feeling of being followed everywhere! 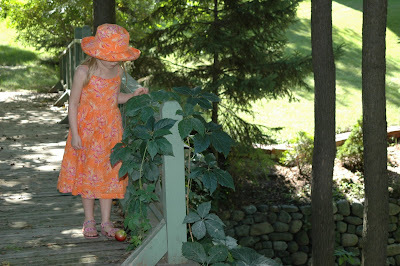 Sneaky Momma: Yes, little ones and all we big ones have a great time here. Our kids love to come here. Barry: Thanks for dropping by. I am looking forward to following your blog - it looks very interesting. Hope you come back again soon. What wonderful photos and such beautiful girls. I know you didn't want to show their faces, but the naturalness of these is superb...I really love the last one. Sometimes, the best pictures are those that evoke total emotion without a face. You are very lucky to have two dolls that follow each other! 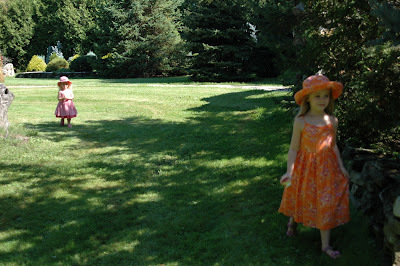 Ooo, Bonnie~ these are beautiful photos...sweet girls...love their dresses and hats...:) sweet sentiments as well. how do you keep their hats on them? Oh, you made my day. Such lovely photos. The privilege of looking in on the world of young children (and hopefully sweetening it with elder wonder) is why I love teaching. Now I can't wait for school to start. Alicia: Photos are intriguing with no faces. Just Jules: I remember wondering that too when my daughter put them on. I think that manufacturer makes them deep enough that they hug the whole head and stay on. You can see the little one, bending over all the time, and it does not fall off. Go figure. Dan Gurney: I so agree. 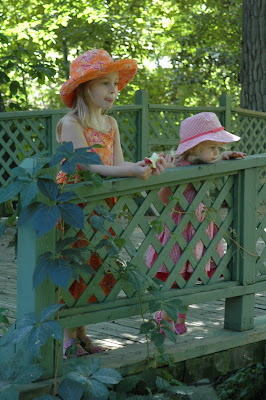 Children just pull you in and captivate you - for so many reasons.